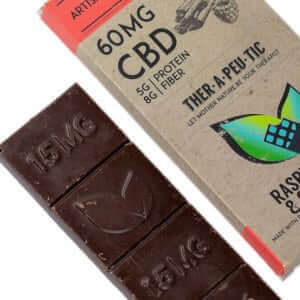 CBD edibles are a fun and delicious way to try CBD oil. With edibles, you'll get a long-lasting calming effect since they are absorbed in your stomach. Browse our best-selling edibles below — ranging from hemp chocolates to CBD gummies and more. CBD edibles are among our most popular products, and with good reason. They’re super simple to use, require no special preparation or equipment, and are available in a variety of forms and flavors. Simply remove the packaging and enjoy all the benefits of CBD, anywhere, and at any time. Here at Healthy Hemp Oil, we stock a range of delicious high-CBD edibles sure to tickle your tastebuds. 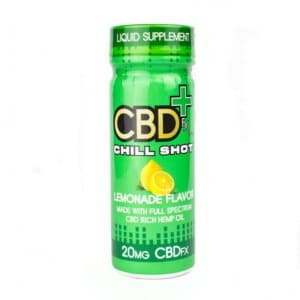 A CBD edible is a food product containing CBD, which is completely safe to eat or drink. They come in all shapes, sizes, forms, and flavors, and they all share the common characteristic of tasting great while delivering the many wellness benefits of CBD. In short, we’re talking CBD sweets and health benefits—an unbeatable combo! The good news is, there’s a CBD edible for just about every taste. 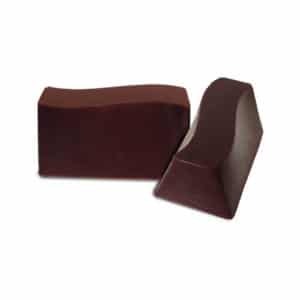 For the chocoholics,Tasty Cocoas CBD chocolates should be your first port of call. 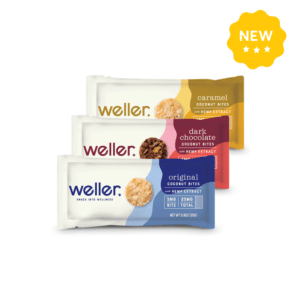 These bite-sized chunks of individually wrapped delight are available in dark chocolate and dark mint chocolate flavors. 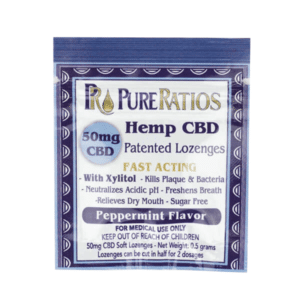 They’re perfect for an easy and pleasurable CBD dosage. 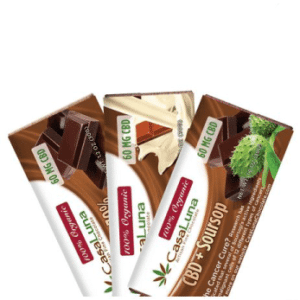 If dark chocolate’s not your thing, ourCasaluna CBD chocolate bars are available in milk chocolate (but dark chocolate is still an option). 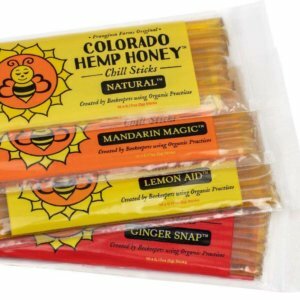 They’re ideal for a CBD-infused afternoon snack. If you’d rather avoid chocolate altogether, our mintyCBD lozenges make for a simple and refreshing way to enjoy the calming effects of top-grade CBD. Simply pop one in your mouth and let it dissolve slowly. 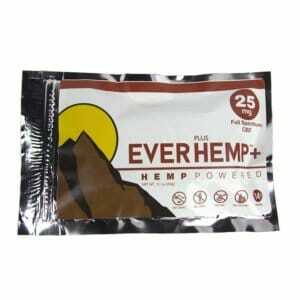 Why Order Cannabis Edibles Online? 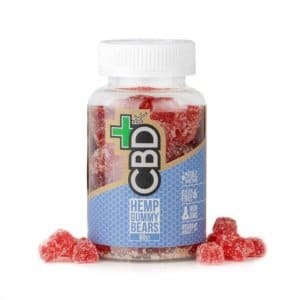 Wondering why you should buy CBD gummies, chocolates, or drinks online? Well, our web shop offers a carefully curated selection of CBD edible products, ensuring you’re choosing from only the best range and quality available. And we’ve worked hard to make sure the entire process is as simple as possible. Browse and buy from anywhere, at any time, with Healthy Hemp Oil. CBD edibles can help you relax at the end of a difficult day and improve your chances of falling asleep earlier. This way, your quality of life can improve significantly, and you’ll enjoy a general feeling of overall wellness. What’s more, cannabidiol doesn’t have any serious side effects. If you want to enjoy it fully, and you’re just a beginner, it’s best to start with a smaller serving size. CBD-infused edibles are perfect for CBD novices, as they typically contain an ideal amount of CBD for those who have just started to discover the benefits of cannabidiol. For maximum relaxation, enjoy your CBD candy late in the evening or a couple of hours before bed, and ideally on an empty stomach. This maximizes absorption, and with the right timing you will feel perfectly sleepy and calm just before your head hits the pillow. Remember: Do not consume CBD edibles if you are pregnant, lactating, or suffering from a serious illness. It is advised that you consult with your doctor before taking any new supplement if you are suffering from an illness. Please keep your CBD edibles stored in a cool, dry place, well out of the reach of children and pets. Why Choose Healthy Hemp Oil’s CBD Edibles? Healthy Hemp Oil has a clear-cut mission: to become the most consumer-focused provider of CBD edibles available online. As such, we’re committed to researching and sharing the latest objective information regarding CBD and its potential benefits, including recent scientific studies. This attention to detail extends to our carefully curated selection of CBD edible products. It’s incredibly important to us that you feel confident in your next CBD purchase, and if you’re ever unsure about anything related to CBD, our friendly and knowledgeable support team are only a click away. 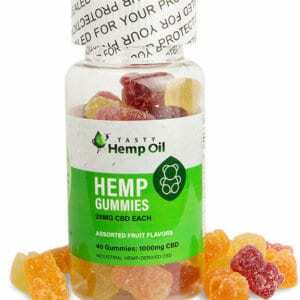 Browse our range of CBD gummies, chocolates, and other edibles, orget in touch if you have any questions.